During the last week I have been skiing in the forest the paths that I used to walk very often 10-12 years ago. Basically reliving my first nature photography hikes. 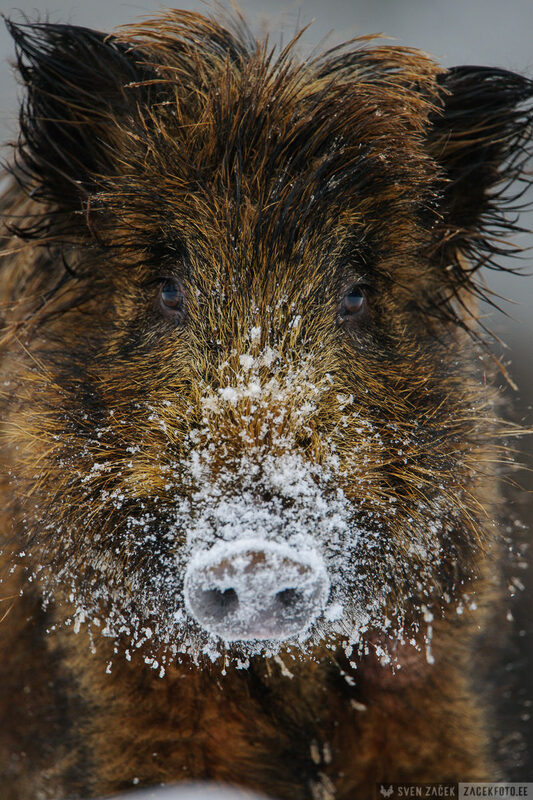 Like I wrote in the past week the animals are doing okay, it was easy to see by the multiple tracks on the snow.Oh, yes, only one animals was completely missing – the wild boar. About a decade ago it was impossible to sky in the forest for half an hour without coming across their tracks. After the plague that hit about two years ago the sight is completely different. Finally today I came across a sight so common just a few years ago. I felt warm in my heart. Sadly this was the work of only three adult boars instead of a herd. None of the younglings have survived. I guess we’ll see if these tree can rebuild the population.